The O’Brien Wake Warrior 1 gives a single rider their own cockpit to man as they get ripped around the lake. 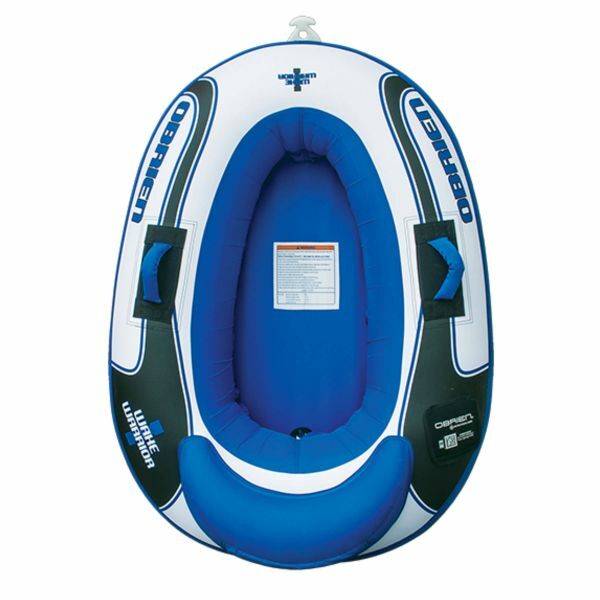 The backrest and inflated base makes for a comfortable, seated ride as you bounce off the waves and chop. So lean back, hold on and enjoy the ride. Kapcsolódó linkek "Wake Warrior 1 tube"
Vásárlói értékelés "Wake Warrior 1 tube"